Because the herb contains minute amounts of pyrrolizidine alkaloids, which can cause liver damage, it should be used internally only under professional guidance. Note that Swedish researchers have determined that these alkaloids are destroyed when making a decoction. Do not take during pregnancy or while breastfeeding. The herb is not suitable for children under six. Native to Europe and northern Asia, the plant has been naturalized in North America and has spread to northern Africa. The herb is a perennial, growing to about a foot high producing flowering stems with purple scales, yellow-gold flowers, and heart-shaped leaves. It is a common plant found along roadsides and in open areas, inhabiting damp, clay-rich soil and arable land; but it will grow in an urban environment, as well as in the country. It quickly becomes established in new areas before that of other plants. The flowers are gathered in late winter, while the leaves are picked in summer. The herb has been used for at least 2,500 years, almost exclusively in the treatment of bronchial and pulmonary disorders, hence its common names. Native North Americans have used it for thousands of years, placing considerable value on its curative properties in cases of cold, coughs, lung diseases, and skin ailments. The Lummi Indians also used it as an emetic (induces vomiting). Dioscorides recommended smoking coltsfoot for coughs and asthma. The botanical name of the plant is Latin for "cough dispeller," and even now, some herbal cigarettes contain the herb. The flowers appear in early spring and the leaves only after the flowers have died down; hence, the plant's old name of filius ante patrem (the son before the father). The plant also contains a phytochemical known as tussilagone, a potent cardiovascular and respiratory stimulant. The leaves are very rich in minerals, especially zinc which is known for its healing. Also rich in tannins, its astringent nature promotes rapid tissue healing. The leaves can be applied fresh to skin sores and chronic wounds. 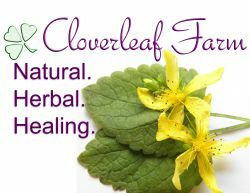 The leaves, either dried or fresh, are used to treat colds, coughs, bronchitis, asthma, whooping cough, tuberculosis, flu, sinus problems, and sore throats. The flowers have expectorant and antispasmodic qualities and are ideal for a wide range of chest conditions, including bronchitis, asthma, and stubborn, irritating coughs. The plants mucilagens have a soothing effect on the bronchi and will protect delicate mucous membranes from further irritation. In Chinese medicine, only the flowers (kuan dong hua) are used, and specifically for coughs with copious amounts of phlegm, and to reinforce the rising lung energy (qi) to descend. It has a long history as an emollient and refrigerant.